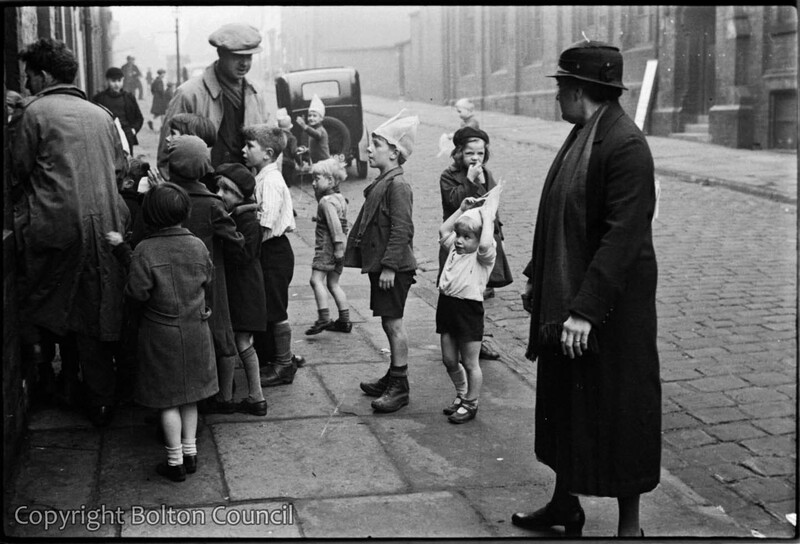 Local children on Mount Street wear paper hats during the local council elections in November 1937. The man on the far left of the photograph is probably Mass Observer, Walter Hood. St Matthew’s School, which was used as a polling station is visible in the back of the photograph, it has now been demolished and street is now made up of modern housing (2012).